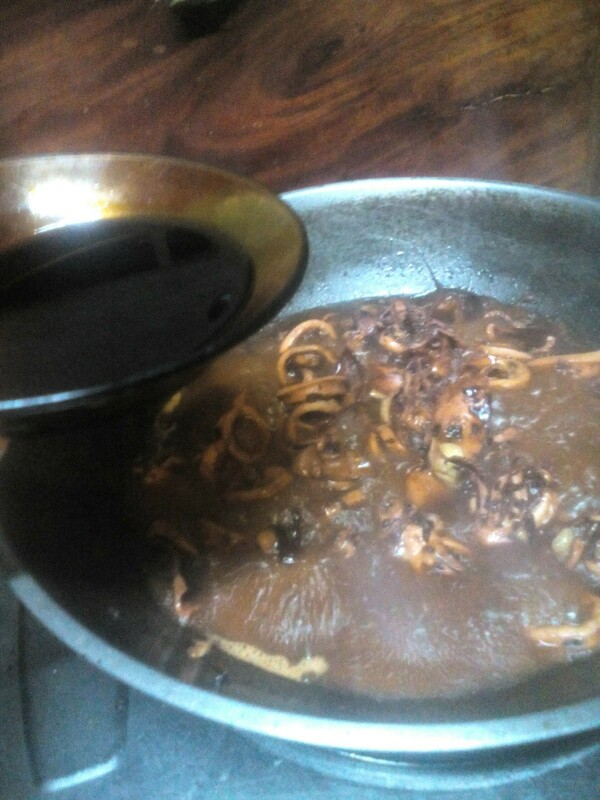 Adobo is the famous way of cooking in the Philippines, usually made from pork or chicken meat. But do you know that you can cook anything with adobo? 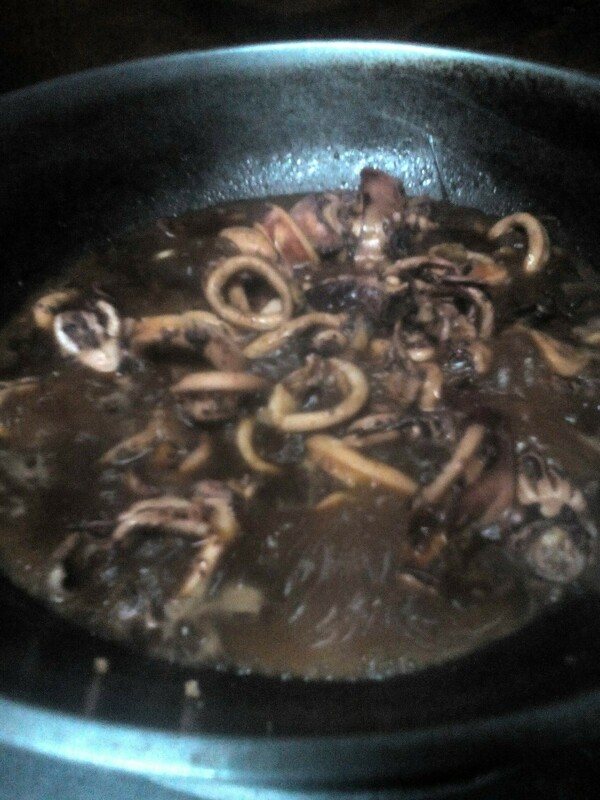 Even spinach can be cooked adobo style. 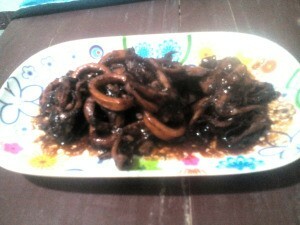 What I'm going to share with you is the sweet and spicy squid adobo. Check it out! Clean and wash squid thoroughly. You can either choose to remove the skin or not. 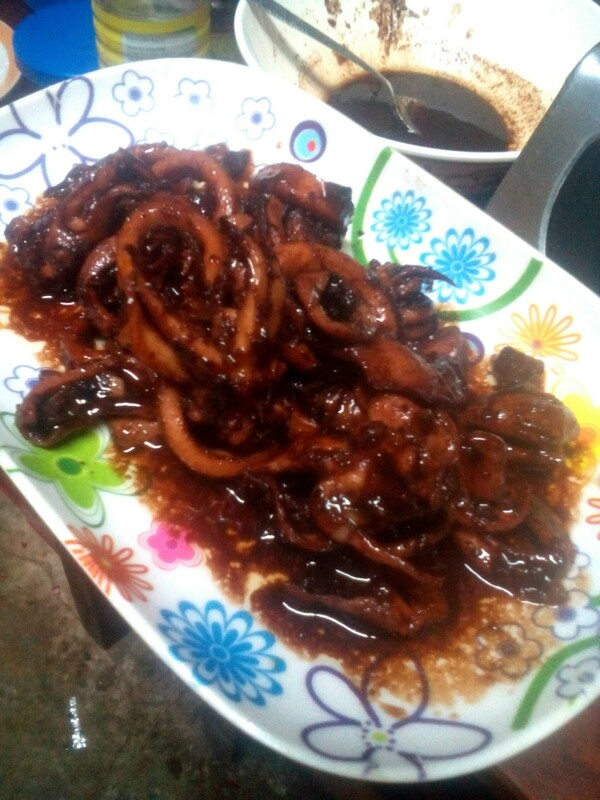 For bigger sizes of squid, slice them into rings. For the small ones, you can just cut them into half. Some choose not to remove the ink inside as it still taste awesome. 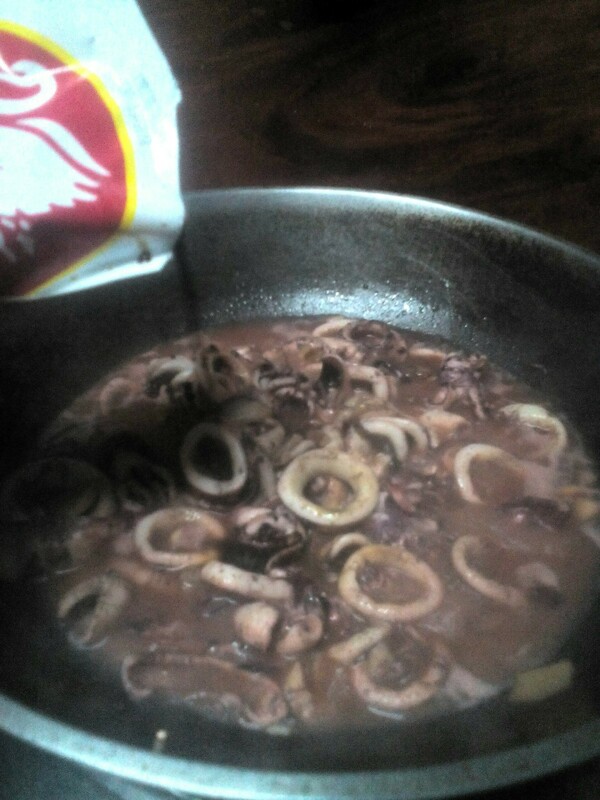 The squid flavor is stronger with it. 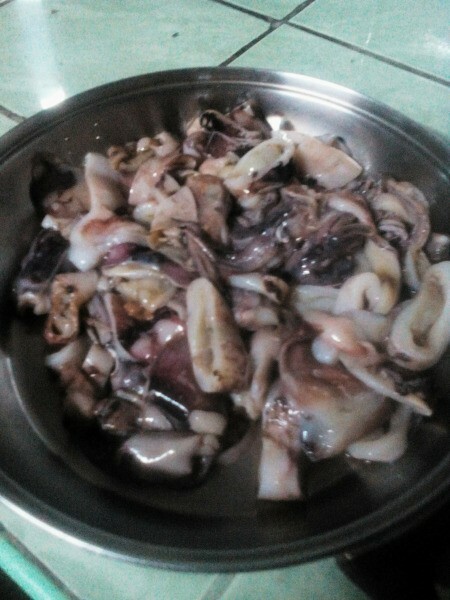 So after slicing the squid wash it again and place in a strainer to drain excess water. Squid naturally releases water while it's being cooked. Saute garlic, onions, ginger and chilies in 2-3 tbsp cooking oil. 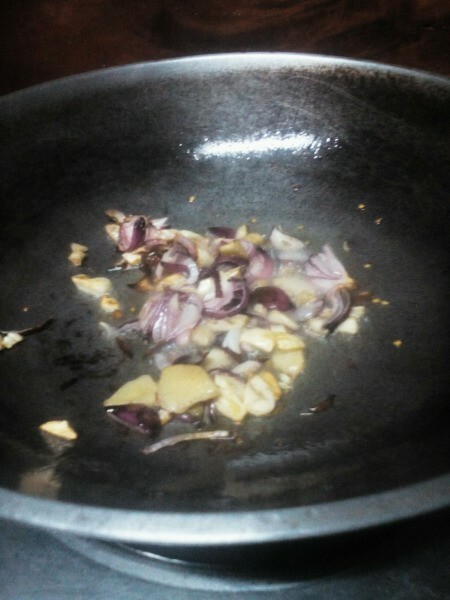 Cook until garlic turns slightly brown. 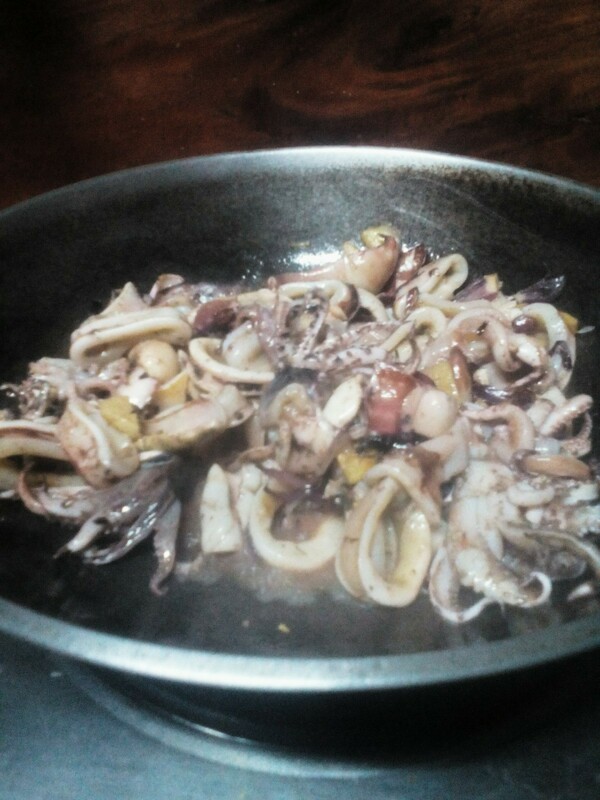 Add the squid and sprinkle with ground pepper. 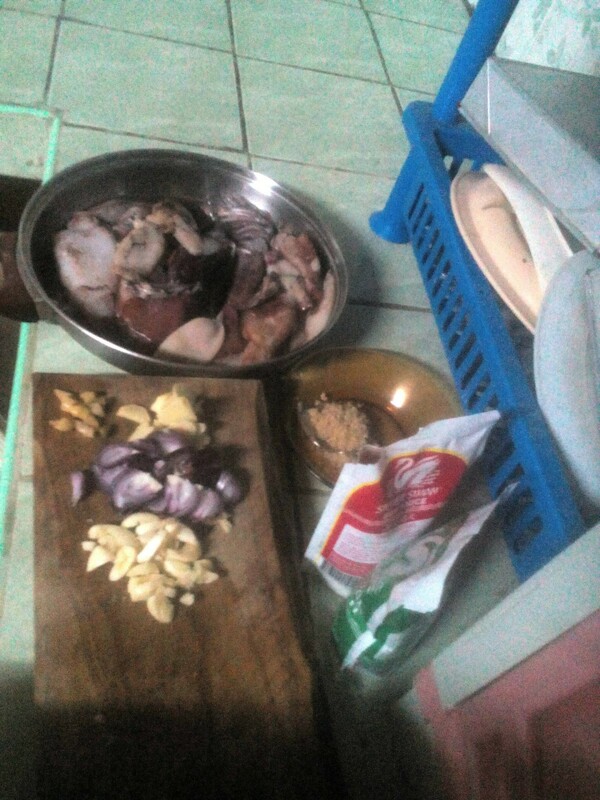 Cover and cook for 3-5 minutes. When you remove the cover you will see water coming out from the squid. 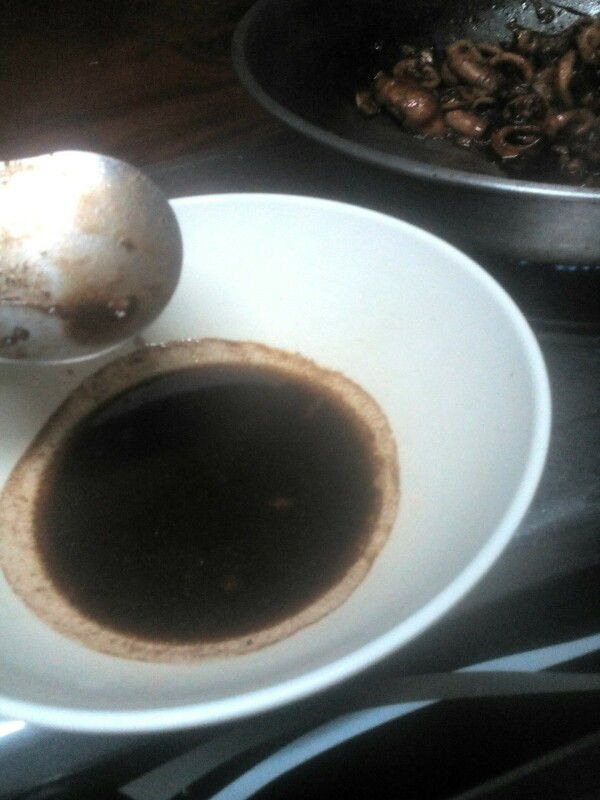 Pour half of the soy sauce and vinegar and let simmer until sauce is slightly reduced. 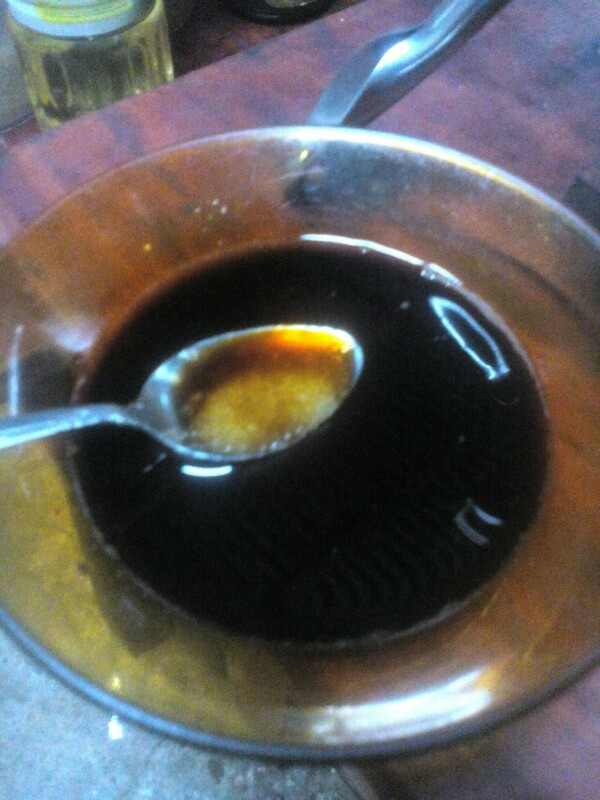 Dissolve sugar in the remaining parts of soy sauce and vinegar. Pour it into the pan. Cook for another 3 minutes. Remove the sauce from the pan. 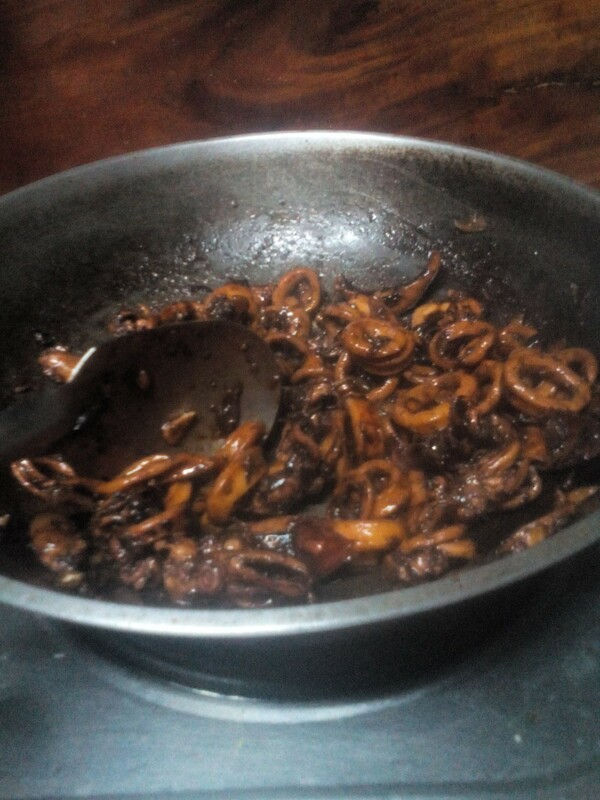 Add a tablespoon of oil and stir fry squid until sides are crisp. Transfer into a plate drizzled with its sauce. Or while still in the pan, pour back the sauce and stir in to coat. It's ready to serve.